When looking forward to the ultimate luxury escape in Kyoto, the Surian Kyoto hotel will be the best choice to meet. The hotel is located in Arashiyyama, a destination that dates to the year 794. 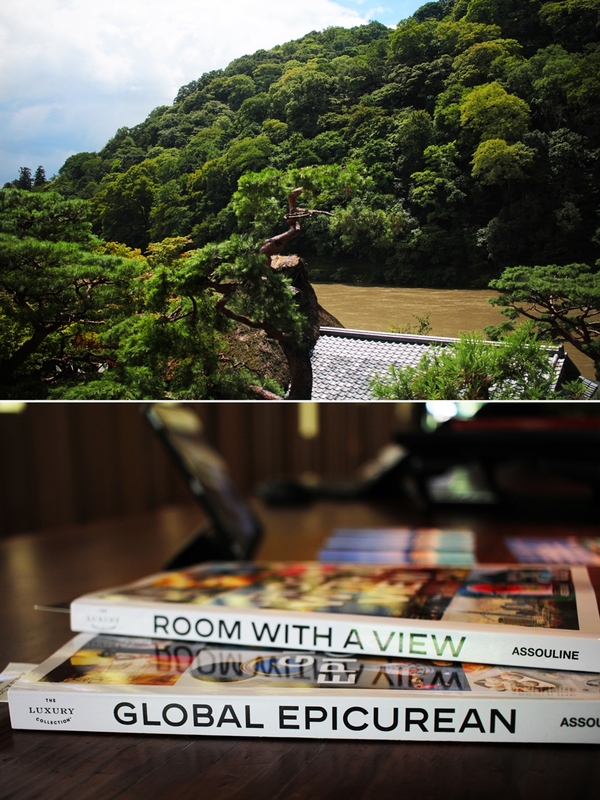 Staying at the Surian Kyoto is a travel back in time and a cultural experience.. The name “Surian” is representing the beauty of the area. As it means jade green it refers to the beautiful river which is available to be observed by guests out of a unique angle. The Surian Kyoto hotel is a hotel of the luxury collection and has only 39 rooms, including 4 suites. The room types start at a size of 40-48m2 and reach to 100m2 in the Surian Presidential Suite. Located in a busy area of Kyoto, the hotel is sheltered through the huge wooden gates in the front of the building and a 700m walking distance from the bus station. The nearest train station is about a 10-minute walk through the parks and evolves spectacular views. Also, one of the world´s most beautiful forest, the bamboo forest, is nearby. The hotel also invites guest for walks around the hotel. However, a small fitness room is also provided by the hotel. The lobby has a glamorous appearance. 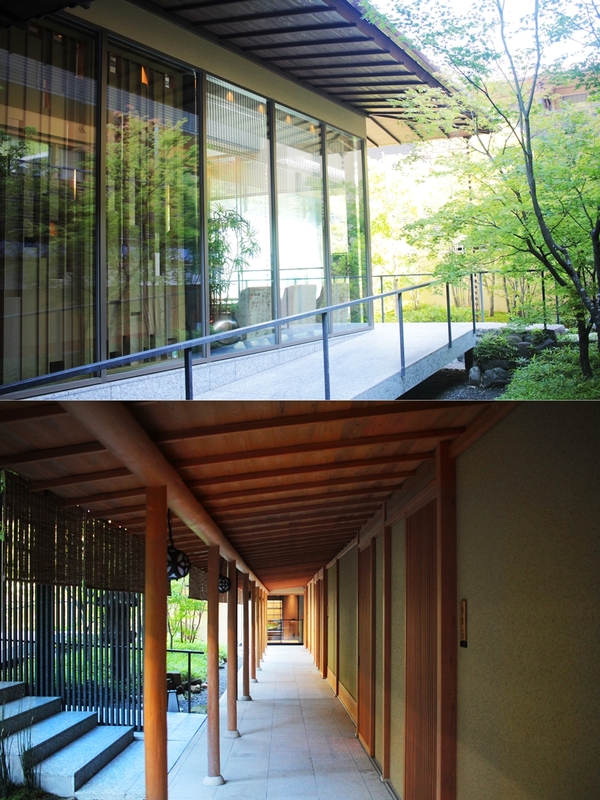 One will walk through a Japanese garden on the way to the lobby and will also pass the café of the hotel. The staff is fluent in English and happy to assist with any needs. Kyoto is one of the most historical cities in Japan. The history of the Surian hotel reaches back to the early centuries. Instead of renewing or changing the hotel (completely), the management remained most of the pieces and built a fusion of modern and historical elements. The impressions while staying in this cultural surrounding are superb. The café of the Surian hotel is next to the lake side. With a terrace guests will enjoy the warm sun beams, while snacking on traditional food and mochi. Saryo Hassui is a waterside dining destination, idyllically situated along the regal Hozu River. Shaded by a lush natural canopy and a thatched straw roof, indoor and outdoor terrace seating areas are surrounded by panoramic views of the enchanting Arashiyama hills. The café is housed in a 100-year-old building that was erected for 19th century poets, and much of the original artwork remains, along with a collection of calligraphic poems composed on the walls. The gentle whisper of the river below and ever-changing seasonal landscape continues to inspire guests today. Open for afternoon service, the menu features handmade Japanese sodas and snacks, including hisui-mochi—a matcha-filled confection inspired by the greenery of Arashiyama—and hisui sandwiches made with jade-colored bread, avocado, fish flakes, and cheese. The café is open all day from 11AM to 5PM. The main restaurant is Kyo-Suiran, which also opens for breakfast. Originally erected in 1899 as Baron Shozo Kawasaki’s summerhouse, Kyo-Suiran combines Meiji Era architecture with contemporary lighting and seating for remarkably authentic and comfortable dining experiences. Intrinsic to Japanese design, an indoor-outdoor aesthetic is fostered by floor-to-ceiling windows, offering optimal, unobstructed views of the tranquil Arashiyama hills and Hozu River—only a stone walkway beneath the eaves separates the house from the surrounding gardens. Vaulted ceilings with exposed beams crafted of entire tree trunks demonstrate a reverence for natural timber, while shoji screens, original art, and precious calligraphy by Masayoshi Matsukata further enhance the distinctive character of this traditional 19th-century residence. Chef Yoshio Matsuse specializes in French cuisine, while Chef Yasuhiko Nishimura specializes in washoku—traditional Japanese cuisine. Together, they have created a culinary fusion of fresh local ingredients and innovative French preparations. Signature cocktails include the Sagano, which blends the brightness of yuzu and shiso with the dense flavors of whisky aged in Japanese oak barrels. While the menu is based on Japanese cuisine, guests will also have the chance to make special orders, especially in terms of food restriction. The breakfast was truly amazing. Kyoto is very famous for tofu, so one shouldn´t miss this opportunity. 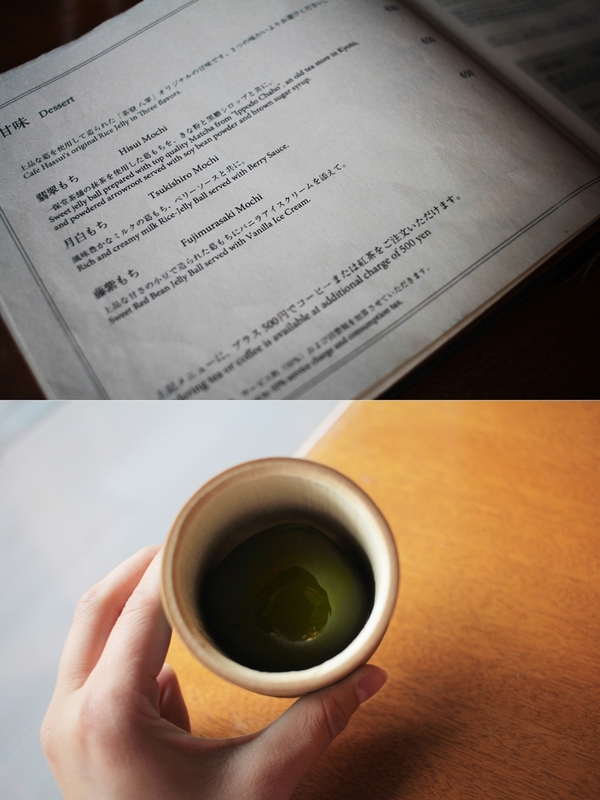 The service at the breakfast is very quick and one will be overlooking the Japanese garden of the hotel. It is a wonderful way to start into the day. I was staying at one of the 12 deluxe rooms. A key feature of this room was definitely the own terrace with a private onsen (hot spring). The design is a fusion of the Japanese traditional housing, combined with the latest luxury standards and amenities. A huge bathroom with a shower and an entrance to the private onsen were my personal highlight and a slight spa experience due the day. The double rooms have each a king bed or two double beds for limitless comfort. Staying at the Surian hotel is a unique experience. The exquisite hotel is not tailored for everyone but for those who look for a traditional experience in the historical heart of Kyoto.